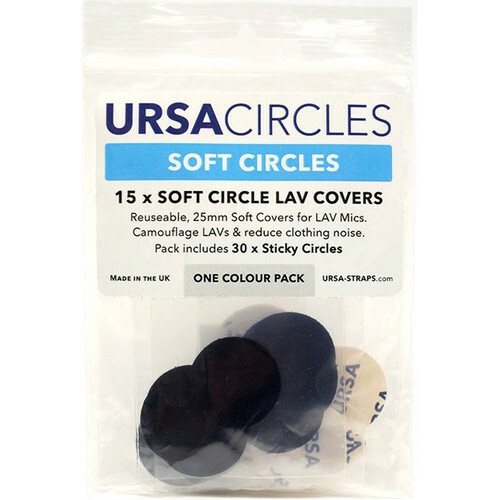 This 15-pack of black Remote Audio URSA Soft Circles Lavalier Mic Covers are made of a 1" soft and stretchy material that is designed to mount lavalier mics underneath clothing, using the included Sticky Circles adhesives. Reusable and discrete, they help minimize clothing rustle, while providing light wind protection. The URSA Soft Circles can also be used under semi-transparent garments.